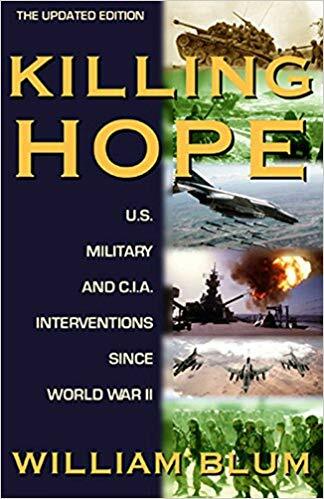 6 Feb 2019 – In his masterpiece, Killing Hope: U.S. Military and C.I.A. 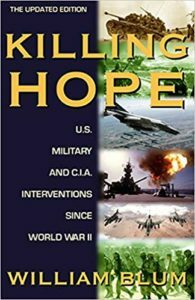 Interventions Since World War II, William Blum, who died in December 2018, wrote chapter-length accounts of 55 U.S. regime change operations against countries around the world, from China (1945-1960s) to Haiti (1986-1994). Noam Chomsky’s blurb on the back of the latest edition says simply, “Far and away the best book on the topic.” We agree. If you have not read it, please do. It will give you a clearer context for what is happening in Venezuela today, and a better understanding of the world you are living in.